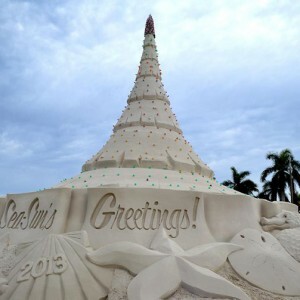 The classic sights and sounds of Christmas are finding their way to Southeast Florida. 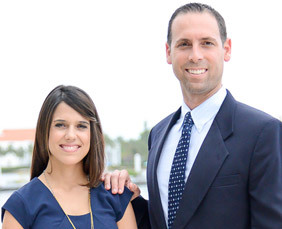 Perez DuBois Real Estate wants to share some of the area’s fun events of the holiday season. Grab your family and friends and enjoy some of what The Palm Beaches offers. 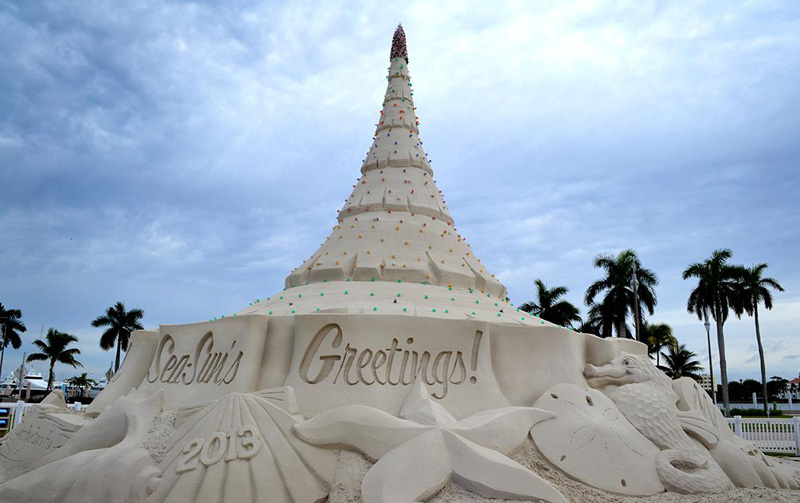 Any night between December 5 -31st, go down to the Waterfront Commons in West Palm Beach to see Sandi, the 600-ton tree made out of sand. To enjoy her special light show, just be around on the hour and half hour between 7:30 and 9:30 pm. Then on one special night, add some family fun because it’s “Cinema by the Sand.” Bring your blankets and lawn chairs to enjoy this free event on Friday, December 13, at 7pm. The Smurfs Christmas Special kicks off the double-feature and then features The Polar Express at 8. Sandi will strut her stuff in between. On Sunday, December 15, make your way to Palm Beach State College for a pops concert. The Indian River Pops Orchestra will be joined by the Robert Sharon Chorale, a children’s choir and bell ringers at the Eissey Campus Theater. The family event features Christmas and Chanukah favorites along with a carol sing-along. Here are a few repeating events that you can choose to enjoy. What’s this about snow in Florida? It’s true and if you want to see it, head over to City Place in West Palm Beach. You can shop, have dinner, see a movie and, of course, watch it snow–nightly until December 31st. Click here for more information and snow times. Santa loves animals. So he’s hanging out at the Palm Beach Zoo and wants to have breakfast with your whole family. Yummy! Click here for information. What’s Christmas without a few festive trees? The Ann Norton Sculpture Garden on Palm Beach is hosting the 7th Annual Festival of Trees from now until December 14th. Attendees can enjoy a bevy of trees in the garden. Each is decorated by the inspirational theme, “The Wonder of Words,” and the event includes a spectacular light and music show. Click for more information. No matter how you spend the time, know that we are wishing you and yours a wonderful celebration as we enter into 2014. We are looking forward many good things in the coming year, for everyone in the communities we serve.